Valentine Porche got her B.A. in Political Sciences and European Studies from the Great school Sciences Po Lyon (France), where she’s currently pursuing a Master’s degree in Public Administration and Urban Studies. Between the two, she moved to Budapest (Hungary) for a year, where she studied Sociology and International Relations at Corvinus University. Her main focuses of interest are Central, Eastern and South-Eastern European societies, ecological and social sustainability, and critical urban planning. In addition to that, Valentine dedicates herself to political activism in favour of a sustainable, socially-fair and democratic transition in Europe. In 2016, she actively participated in the organisation of the Budapest 5th International Degrowth Conference and first Degrowth Week festival. She has been in charge of communication and PR, as well as conviviality- and activist-oriented programmes. 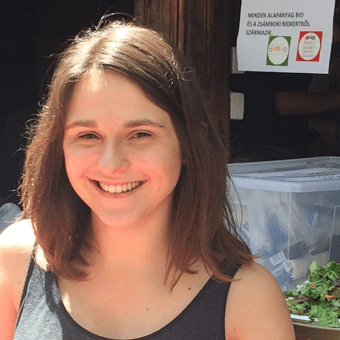 Since then, in France she commits herself to Degrowth advocacy, Youth political awareness, as well as the Commons, Urban activism and Non-formal education. Currently in her gap year, she joins the IPE team as an intern for 8 months, and will specifically work on organizing the Green Academy 2018. She will also help with finding and analysing research materials for the purpose of quantitative and qualitative research projects on-going within IPE.